OCADU IT Services will NEVER send unsolicited requests for passwords or other personal information via email. Messages requesting such information are fraudulent and should be deleted. Read more at Microsoft.com, or read on below. Compare the sender’s name and the email address. Do you recognize them? Do they match? Look for the ocadu.ca domain, and correct email address. In the example above, neither match. You can also manage filters and blocked users in Gmail. Click the Gear icon > select Filters and Blocked Addresses. 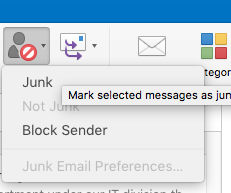 You can choose to Mark as Junk or Block Sender in Outlook for Mac 2016: this communicates your preferences directly to Office 365. 2. Select Automatically filter junk e-mail. 3. Modify your safe and blocked senders list. 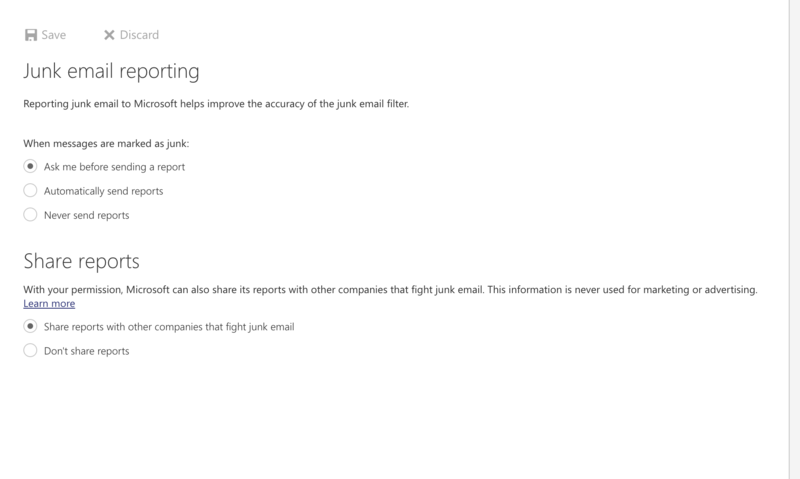 While Apple Mail does have it's own junk email filter, it does not communicate with Microsoft, and therefore the settings in Outlook Web Access work independently of the junk email filter in Apple Mail. 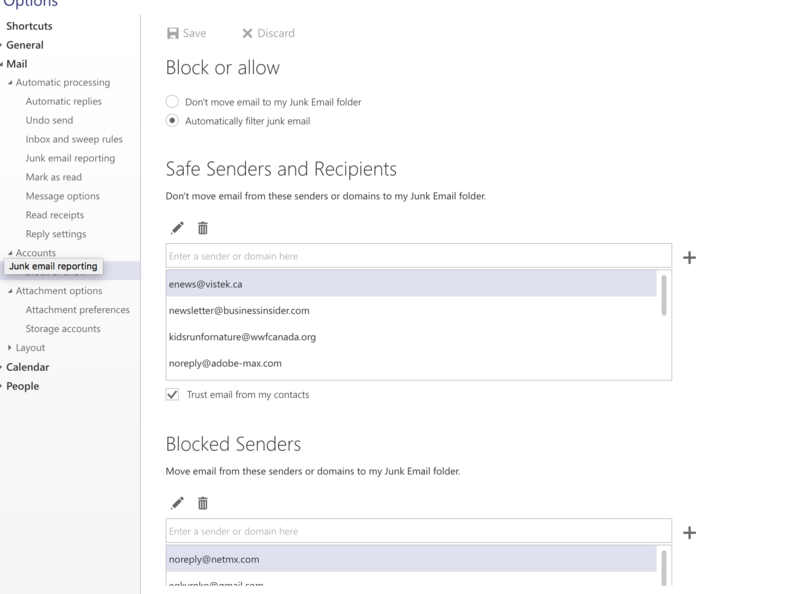 You can set the Trust junk mail headers set by my Internet service provider preference in Mail > Preferences and it will follow the spam rules set by Microsoft Exchange.